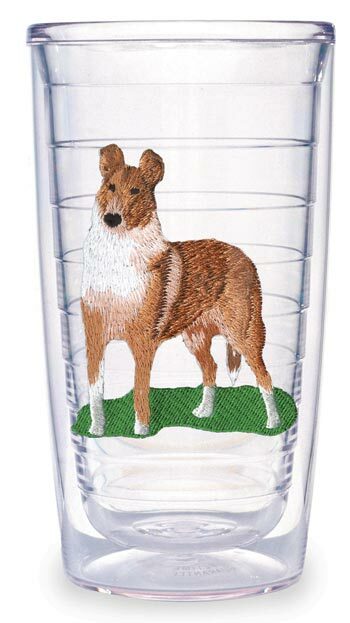 COLLIE TUMBLERS & ICE BUCKETS : Collie Tumbler-Smooth Sable-16 oz. Thermal insulated 16 oz. tumbler features an embroidered smooth sable Colllie. Tumbler won't crack or break and is dishwasher, microwave and freezer safe. Priced for a lifetime of use and enjoyment. Check out our matching thermal insulated ice buckets!